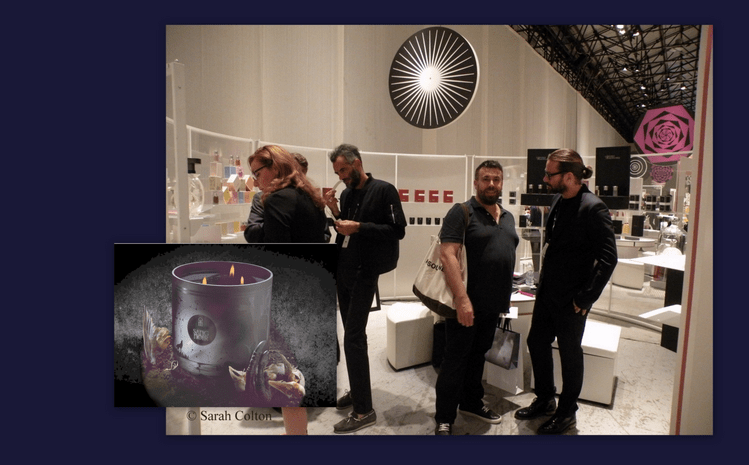 Silvio Levi and his panel discussion at Pitti Fragranze, entitled “Partita A Tre” (Match With 3 Players), blew open a window on one of fragrance’s elemental strengths: its power to evoke the dark side. Panalist Anaïs Biguine, owner of the brand Jardins d’Ecrivains described the olfactory possibilities for suggesting the tensions and harmonies of duality in her fragrance ‘Orlando’, which evokes Virginia Woolf’s literary character of the same name who is both an Elizabethan era Lord and an 18th century Lady. 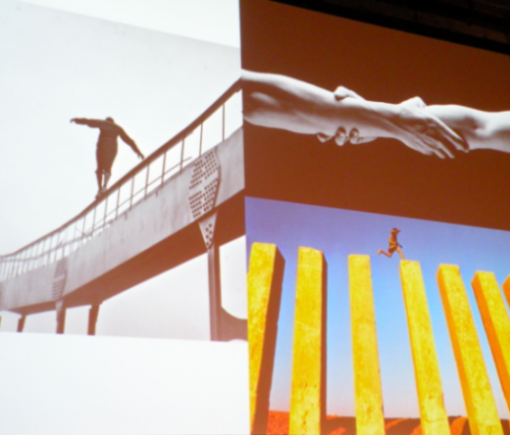 Panelist Mark Buxton sited the perils of “…an acrobat balancing over the void standing on the tightrope of life”, as a compelling reason to load his fragrance, ‘Emotional Rescue’ with the lifting powers of sharp and snappy vetiver. 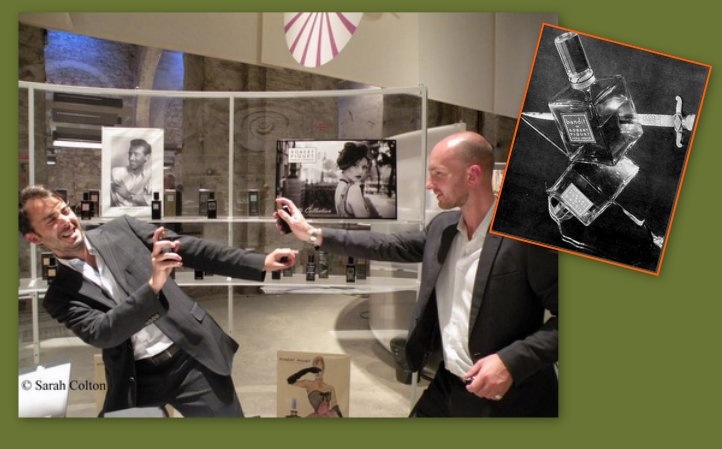 Pitti Fragranze offered numerous other examples of fragrance explorations of the dark side. Some, as brave forays into the wilderness. Others, clearly working in home territory. Les Eaux Sanguines (‘blood’ alcohols), a trilogy of fragrances in Philippe di Méo’s Les Liquides Imaginaires (Imaginary Liquids), recount allegories of blood and wine. A fourth fragrance, ‘Sang Noir’, presented as a large triple-wicked black ‘blood’ candle, explores disquieting Indo-European legends with the smell of night spirits and the “…tensions of profound silence broken only by isolated shrieks in the darkness”. On another register, Robert Piguet’s devilish and challenging chypre ‘Bandit’, the elegant and enigmatic grande dame of the wicked, reminds us that darkness is nothing new and should be endured with class and verve. Created in 1944, a time of unprecedented darkness on a global scale, Bandit, now pushing 70 is still flashing knife blades and stealing the show. 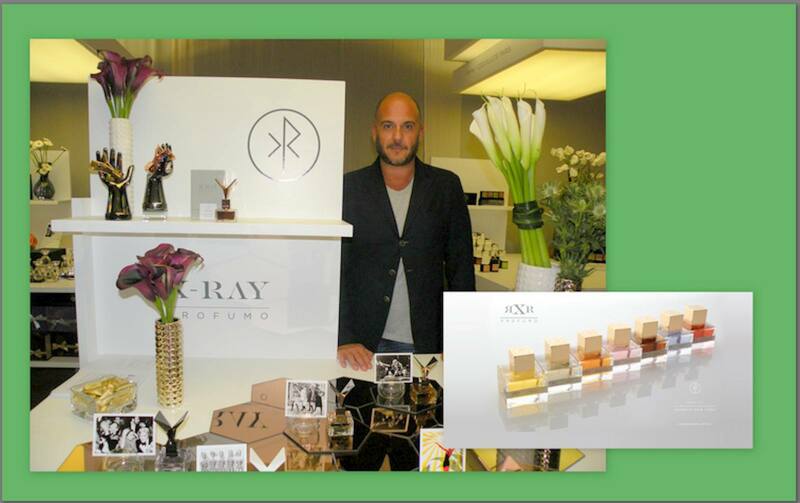 Moving up the decades, X-Ray Profumo, Ray Burns’ menswear fragrance brand for women includes ‘Resurrextion’, ‘Delirium’ and ‘Morphine’ which call on heady florals, leathers, and musks to summon duality, hedonism, and an elusive ‘dolce vita’ of the 50s, 60s and 70s. Yet even in darkness some niche fragrances find a light side. Peccato Originale (Original Sin) owner and perfumer Silvia Monti capitalizes on her authentic identity as a fallen (third-generation) pharmacist/chemist. Borrowing paraphernalia un-earthed from the ancient cellar of her family’s pharmacy in Cesena, Italy, she proffers delightfully poisonous prescriptions for fragrances with names like ‘Iniezione di Morfina’ (‘Morphine Injection’) and ‘Estratto di Follia’ (‘Extract of Madness’). Perhaps, the ultimate response to the dark side is that of The Joker evoking truth through enigmatic farce. 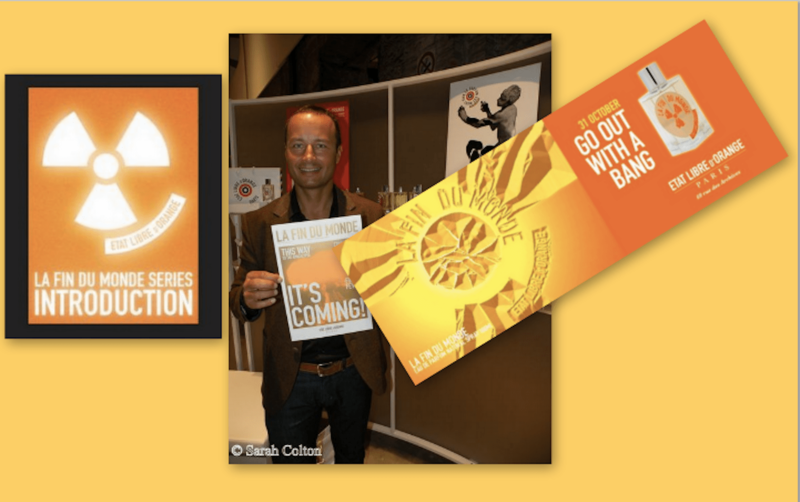 Etienne de Schwartz and his brand Etat Libre d’Orange plays this role with his latest launch, ‘La Fin Du Monde’ (‘The End of the World’) which essentially reduces the concept of Armageddon to the scope and importance of a Hollywood film. In an olfactory statement of defiant nonchalance, ‘La Fin du Monde’ suggests that a fragrance smelling like a good bag of popcorn might be our best accompaniment as we simply relax and enjoy the show. Panelists on Silvio Levi’s discussion at Pitti Fragranze, entitled “Partita A Tre” (Match With 3 Players). Left to Right: Mark Buxton, Perfumer and Owner of Mark Buxton Perfumes, Majda Bekkali, Owner of Majda Bekkali Sculptures Olfactives, Anaïs Biguine, perfumer and owner of Jardins d’Ecrivains, and Silvio Levi owner of Calé Fragranze d’Autore. 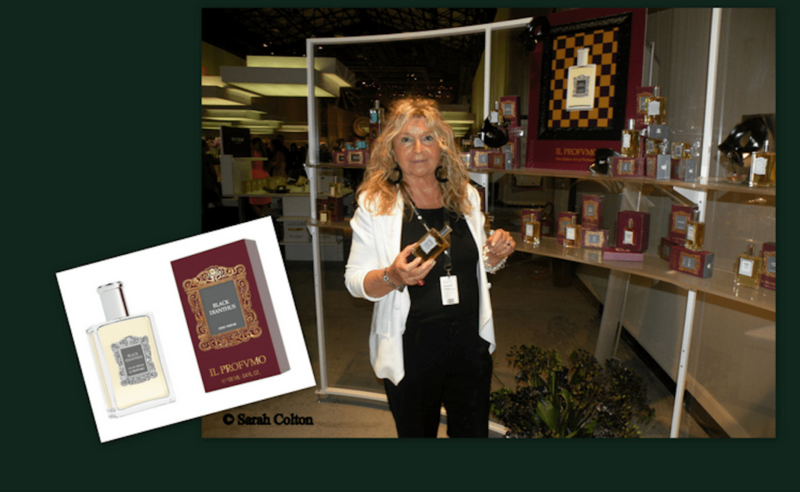 Perfumer Silvana Casoli at Pitti Fragranze 2013 with ‘Black Dianthus’ for Il Profumo. 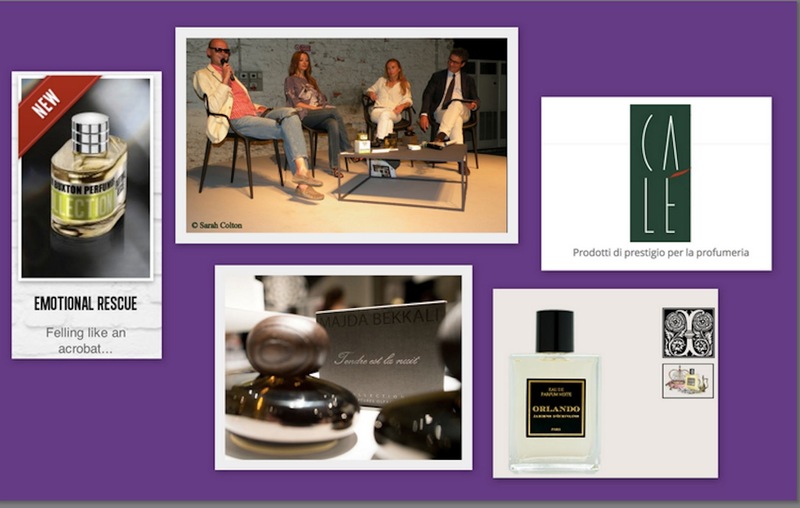 Etienne de Schwartz, owner of brand Etat Libre d’Orange announcing ‘La Fin du Monde’ (‘The End of the World’) at Pitti Fragranze 2013.
great post! nice work on the images! Thanx, Jason. Coming from you I take that as a big compliment.